The Arnot Teaching and Research Forest covers 4,200 acres in central New York, about 15 miles south of Ithaca. The Arnot is owned by Cornell University and managed by the Department of Natural Resources in the College of Agriculture and Life Sciences (CALS). It is the largest actively managed forest owned by Cornell University. 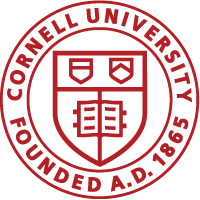 The Arnot provides a place for Cornell faculty and students to carry out elements of the three-part mission of CALS: Teaching, Extension, and Research, in service to the citizens of New York. The forest is primarily comprised of mixed hardwoods over hilly terrain. It also contains a small number of open fields, several ponds, Banfield Creek and numerous smaller streams. The Arnot is home to one of two maple syrup research facilities operated by the Cornell Maple Program. Cornell’s long history of ground-breaking research in the field of forestry dates back to the late 19th century with the founding of the nation’s first college of forestry in 1898. 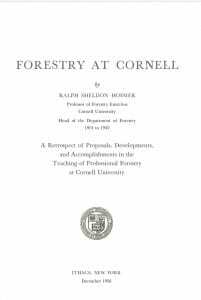 This document provides a synopsis of forestry related activities through 1950. 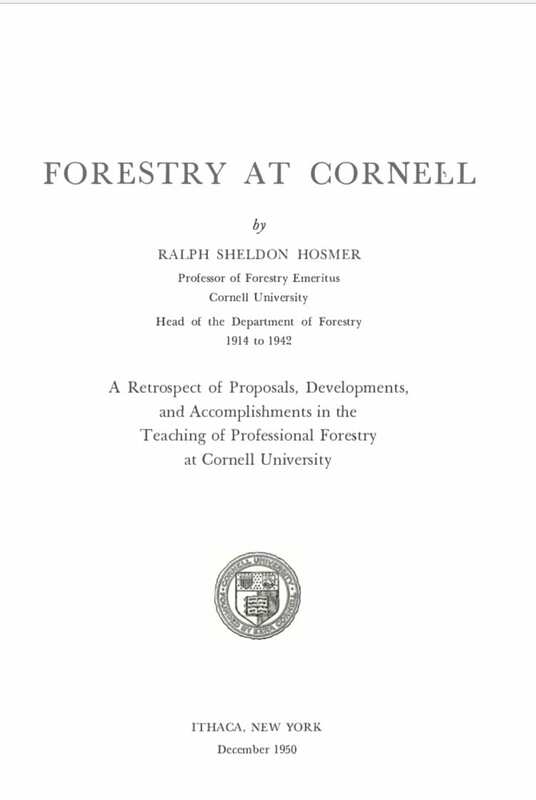 The author, Ralph Hosmer, was a Cornell professor and head of the forestry department from 1914 to 1942. Together with a group of contemporaries that included Gifford Pinchot he helped found the US Forest Service. A momument dedicated to Hosmer’s memory is maintained near Banfield Road in the Arnot Forest.